Maite was first introduced to yoga in her early twenties but from a young age her inquisitive mind drew her to study and explore different spiritual traditions. Born to a Nigerian father and a Spanish mother her exposure to a variety of cultures nurtured a quest for studying social anthropology, for traveling, for a deeper understanding of the humankind and the big existential questions. Her study of yoga began answering some of them. After more than 10 years dedicated to social and international development work, and traveling the globe extensively from Afghanistan to Panama, passing through Thailand and Venezuela to name a few, she decided in 2013 to serve others through her yoga practice. 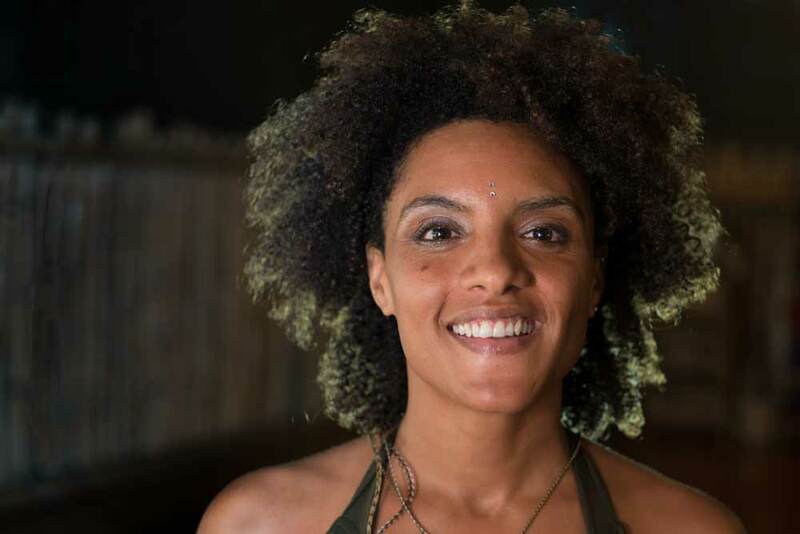 Maite then, moved to Costa Rica and became certified with Sofiah at Danyasa Eco Resort. Maite’s style is a Hatha Flow Yoga, with emphasis in heart opening asanas, in order to delve deeper into love and move out into the world, and ride the wave of life with a fearless heart. Her classes are, both in, Spanish and English.